This season your look gets better definition with just a little attention to detail. 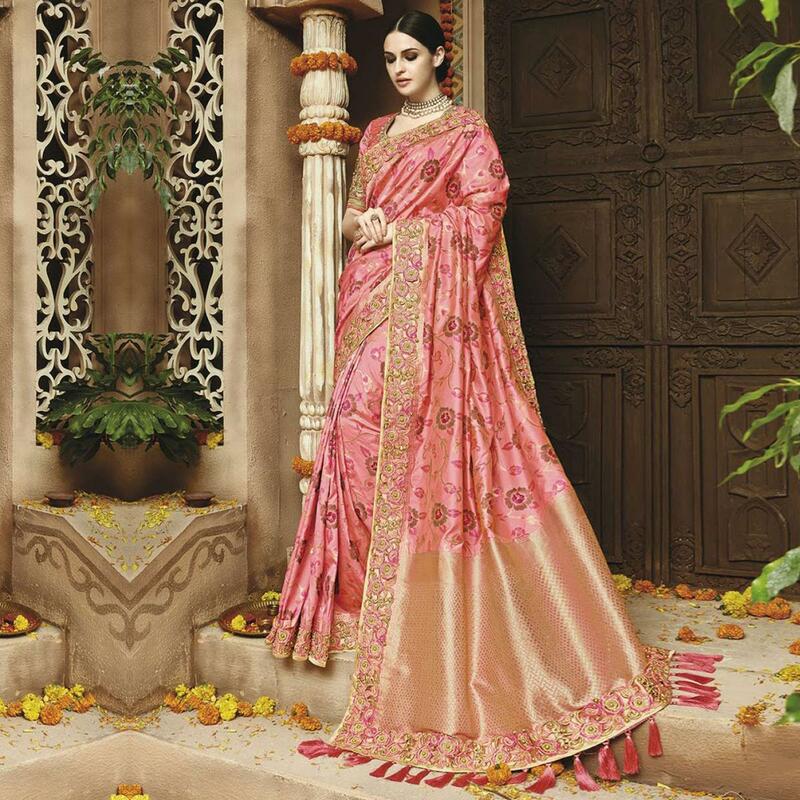 Keep ahead in fashion with this light pink traditional saree. The weaving and embroidery work looks chic and perfect for any occasion. This saree is made of silk jacquard accompanied with an unstitched raw silk embroidered blouse. Pair it with traditional accessories to make your look more beautiful. Perfect for wedding bridal and ceremonial. Buy this saree now as it's a unique piece with attractive color combination which is rare to find.